Pictured on the left: yet another brand new, fully-loaded 13″ MacBook Pro. This time it’s a 2.5 GHz Intel Core i7 with 16 GB and a 500 GB SSD. 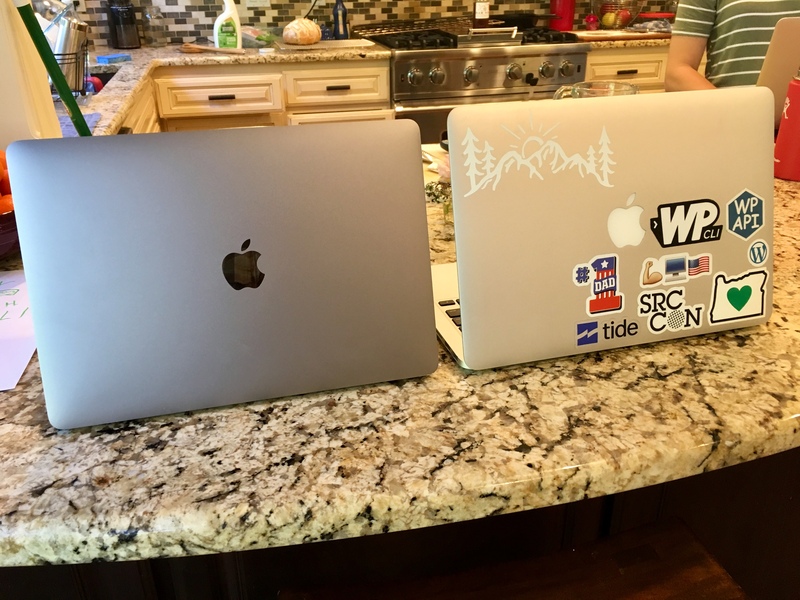 On the right is my mid-2014 13″ MBP, quite possibly the best computer I’ve ever owned. RIP all of my awesome stickers. And, with that being said, the new MBP on the left is surprisingly not awful. I put the upgrade off for quite a while because of the reported keyboard issues. My experience thus far is pleasantly the opposite; I find the keyboard quite good and enjoyable to use. I’ll need to track down a wired secondary keyboard that offers an equivalent experience. While I didn’t really need it, I finally decided to upgrade. Pictured on the left is my new, fully-loaded 13″ Macbook Pro. Retina, 3 GHz i7, 16 GB RAM, etc. 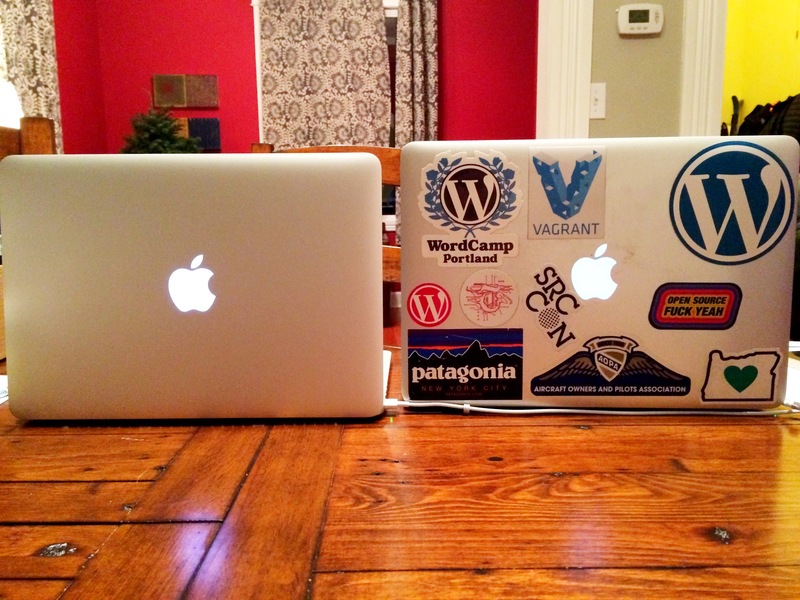 Pictured on the right is my old, yet reliable, 13″ Macbook Air. It’ll take a while to collect a similar set of awesome stickers. Largely because of the SSD and (lack of) weight, my 2011 13″ Macbook Air has been the best computer I’ve owned. But, I’ve been envious of the battery life with newer Macs. And, countering the trend of netbooks / everything running in the cloud, I’ve been regularly maxing out my 4 GB RAM. This Macbook Pro won out over the mythical 12″ Macbook Air coming in 2015 because one always needs to be wary of first generation hardware. Using my handy crib notes from October to get everything configured.